Garden Supplies Register Forms RET2519 At Print EZ. Garden Supplies Register Forms Item No. 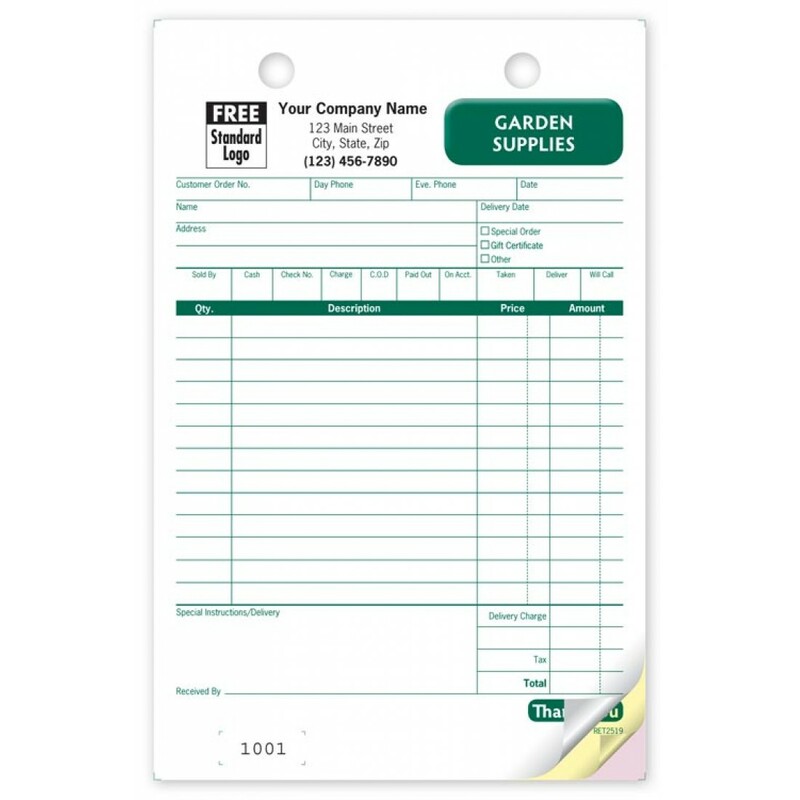 RET2519 Size: 1" x 1"
These garden supplies register forms have been designed to perfection, be it the format that they adopt or the paper used or even the printing quality on them. Apart from slots for the item description, amount and quantities, extras like the mode of payment chosen and several details of the customer have also been provided for. Since the form is lined, reading corresponding values and text is not a problem at all. Extra space has been provided for special instructions and delivery, which goes a long way in ensuring that each client is taken care of specifically, thus building company goodwill.